Description: SAP Landscapes are Ireland’s largest Landscape and Grounds Maintenance contractor. The Landscapes division was established in 1976, and last year celebrated their 40th year in business with their impressive Orchard in an Hour community initiative that saw over 100 orchards planted simultaneously around Ireland in one hour. 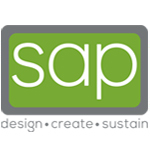 SAP have always been leaders in their field both in terms of the superior work that they are renowned for carrying out, but also for their innovative mind set towards new products on the market such as Living or Green Walls, which are becoming increasingly popular. Their current award winning customer list includes the most prestigious Business Parks, Pharmaceutical Grounds, Educational Institutes, Local Authorities, Hotels, as well as Private Gardens.